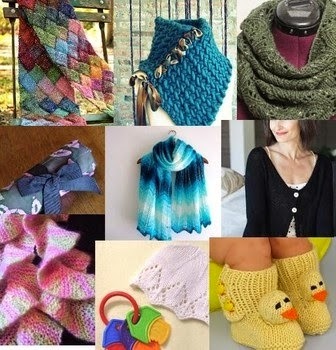 Some of the best knitting patterns available online are free and created by independent designers on the Craftsy Web site. These beautiful patterns are one-of-a-kind designs from talented knitters who provide free PDF downloads of their patterns. There are wonderful patterns to choose from including scarves, neck warmers, shawls, baby hats, baby booties, sweaters and more. All you have to do to download one of these great patterns is to visit the Web site, click on one of the patterns you wish to download, create a free account with your Facebook or email address, and start downloading. You can also find free classes online at the site, crochet patterns, sewing patterns and other crafts both free and some you have to purchase. My suggestion would be to try out the free patterns or classes first before purchasing in order to learn what the site has to offer and if it’s something you enjoy.